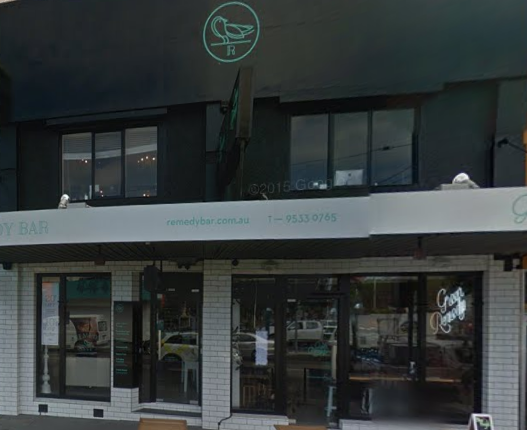 November 2015 – Eyebrow Tattooing Melbourne, Feather Touch Brow Tattoo. Eyebrow stencils are patterns which are used for drawing eyebrow shapes or design for both men and women. These are made from flexible plastic for easy use. This stencil is placed on eyebrows and draws the shape with pencil and then you can wax, pluck or thread the eyebrows that are not in the region you want. These stencils are very useful for the person who finds difficulty cutting eyebrows in right shape. With help of these stencils you can get perfect shape of eyebrows that can make your face look beautiful. It’s not difficult to choose right and good quality stencils. You much check the quality of the stencils before you buy otherwise you end up with disappointment. You should check the brand name, shape and quality of stencils you buy. Good and right shaped stencils can give you well shaped eyebrows. Well shaped eyebrows are important for men also, men tend to have bushy eyebrows. With these stencils they can get well shaped eyebrows without any difficulty. There are many varieties of eyebrow stencils available in the market. One can choose as per the face suitability. Below are some varieties available in the market. These eyebrow stencils are meant to copy the kind of eyebrows celebrities have. These kinds of stencils are used by celebrities under professional guidance to get right shape. If the shape of stencils used by celebrities matches your face then you can buy them and get same shape of eyebrow and flaunt them. You can find stencils of celebrities like Cindy Crawford, Madonna, Kate winslet, Jennifer Aniston and many more. This stencil comes with wax. You have to place this stencils firmly on the eyebrows as this stencil have wax it removes the unwanted hair of the eyebrow. You have to careful while placing these stencils on the eyebrows. These stencils are very easy to use and good for person who are using for first time. Plastic stencils are same like other stencils difference is that it can be reused many times. If you decide to buy this kind make sure you are going to buy quality one. You must learn to keep it clean after using it this way you can keep skin infections at bay. This stencil comes in sets you can find 3-4 types of stencils inside the pack. You can have anyone according to the shape you wish to have. You can buy stencil you want to but make sure you are going to use properly for best result. You need to follow proper steps using these stencils. You can the full process of using these stencils online. For best results you must take experts advice because they help you get best shape of brow that suits your face, which can make your face look beautiful and attractive. If you are not careful you will end up getting awkward shaped eyebrows and this will ruin your face appearance. Get the right stencil and use it in right and prescribed way. If you do not want to take a prescription medication, vitamin supplements can also be used to regrow eyebrows. Viviscal, a supplement made up of marine proteins, acerola cherry and horsetail extract, hydrates hair follicles and promotes healthy hair growth. There are numerous beauty treatments that can be applied topically to eyebrows as well to stimulate hair growth. Anastasia, a celebrity brow artist famous for creating perfectly shaped brows, developed her own product, Anastasia Brow Enhancing Serum, that contains peptides, vitamins and botanical extracts. Not only does the product hydrate and condition brows and prevent breakage, but it also feels cooling and soothing upon application. RapidLash, another peptide, vitamin and mineral-based serum, also uses the same principles to regrow and maintain both eyebrows and lashes. There are numerous other treatments available such as RevitaBrow, Ardell Brow & Lash Growth Accelerator Treatment Gel, Talika Eyebrow Lipocils, Nutra Luxe Lash MD and Rejuvi Eyebrow Revitalizer, . Since the success of these types of treatments depends on the individual and their particular body chemistry, it often comes down to a case of trial and error. For a more cost-efficient option to regrow your eyebrows or for those who don’t want to use medications or chemical treatments, there are also quite a few natural remedies that have been shown to successfully regrow eyebrow hair. One of the most popular natural methods for eyebrow regrowth is castor oil. The unique chemical composition of this oil can help to regrow hair by gently massaging it on the brow area for several minutes each day. After the oil has been massaged into the skin and allowed to sit for about 30 minutes, the area should be rinsed and washed with a gentle cleanser. Like with any other product, if the area appears or feels irritated, use should be discontinued. Another natural remedy for brow hair loss is aloe vera. Although the preferred method of application would be to squeeze the gel straight from the leaves of an aloe vera plant, the bottled gel from the store can also be used. Gently massaging the gel into your brow area for a few minutes every day can help to heal the delicate skin in that area and promote new hair growth. Milk, because of its high protein and vitamin content, can also be used to promote hair growth. Simply dip a cotton ball in milk and apply it to the brow area each night before bed. The nutrients will nourish hair follicles and help them to grow faster. Onions can also be used in the same manner. Grinding an onion and applying the juice to the brow area can help eyebrow hair grow in faster and denser, if you can stand the odor! Is eyebrow tattooing an easy and hassle-free way to perfect eyebrows? The eyebrow tattoo is actually a trick that creates an illusion to others of full shaped eyebrows. Many of us would desire beautiful eyebrows that can be shaped and groomed to give it a proper shape the way we want them to be. Others would have brows with some spots on them totally absent. 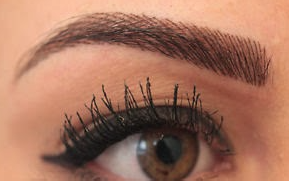 For fuller brows in proper shape, you need to have an eyebrow tattoo. People sometimes have no eyebrows for certain medical conditions. These conditions could be alopecia or the loss of some hair or all the hair. The condition sometimes gets manifested in the eyebrows. People who have alopecia are generally healthy and they have no idea why these occur. The patients who undergo chemotherapy due to being stricken by cancer will also benefit from having the eyebrow tattooing done. This should give them some confidence in their look for well-defined eyebrows add a sense of personality to the face and complement the other facial features. Tattoo EyebrowsSome people may need the Tattoo Eyebrows to fill in areas that lack them. These could be chicken pox scars that are made of a region that is incapable of growing hair. People who have vision impairment and unsteady hands cannot draw an attractive eyebrow. There are also those who would wake up and have to go out in a jiffy. These are people who would not want to go into the hassle of drawing their eyebrows each day. Before getting the eyebrow tattoo done, you need to find out the best professional who can do it for you. Tattoos are removable and they do fade, yet you can look out for the testimonials of others who have had the work done. You can learn from them about their experience and look into the results before you make up your mind on hiring a tattoo professional. In case you do not come across the testimonials of clients, you can look at the portfolio of tattoo artists. They can show you samples of their work and also give you suggestions about the eyebrows that would look good on you. The real professional will not mind at all if you need to look at their portfolio and would be too happy to share their samples of work for your own benefit. Some artists would have done a single eyebrow. The artist will have drawn individual hairs. The process may take a long time but will look more natural. You need to communicate with the artist. You can also show them the pictures of the eyebrows you would like them to make for you. The process is known as intradermal micropigmentation. They use inks, dyes, pigments the same way that tattoos are done. Needles inserted in the guns help to draw the tattoo with the ink and the artist does that simply with the dexterity of his own hands. Semi-permanent tattoos would only implant the color on the topmost layer of the skin while the permanent tattoos would spread to the bottom layers too. It is important that you use the experienced and the professional artists as safe tattooing is very much essential.